C.J. can hardly wait for Christmas. No. I mean it. I’m not sure he can wait. He’s never been particularly patient. He’s tried to convince me that if he eats two chocolates out of his advent calendar every morning, two days will pass in one and Christmas will come sooner. He has also tried to convince me to let him open one present every night like his Hanukah-celebrating classmate gets to. His Christmas wish list has been done for weeks. He keeps it in various “safe places” – like under his pillow, in his dirty clothes hamper, rolled up and jammed in the shower of his Barbie Dream House and folded up in his jewelry box. He wouldn’t let me send the hard copy to Santa lest he forget the items on the list; so he instructed me to “email text it to Santa on Instagram.” Rest assured that I did just that and hashtagged it #americangirldollsareexpensive, #ithoughtwewereluckyenoughtoskiptheamericangirldollphase and #pleasehaveyourelvesmaketheamericangirldollsothatidonthavetobuyit. 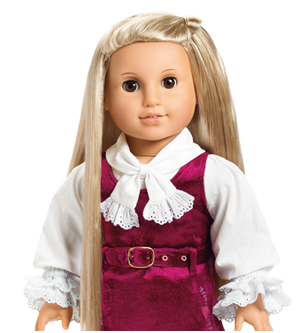 Yes, at the top of C.J.’s wish list is the American Girl doll named Julie Albright. She’s a San Franciscan from 1974 with long, silky blonde hair. 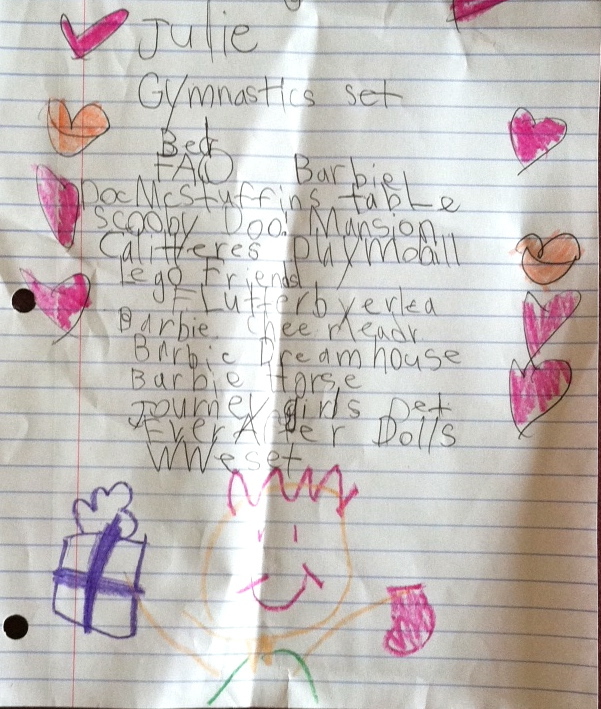 Second and third on C.J.’s list, are gymnastic equipment and a bed for Julie. You’ll see on the list that C.J. has also been coveting the Barbie FAO Schwarz Toy Soldier Doll offered exclusively by Toys R Us – which says that the doll is “the perfect gift for any girl!” I think she’s fabulous and would love to wear her complete look from head to toe. She may already be wrapped and under our tree, allegedly. C.J. wants every Monster High doll. I asked him why he didn’t put them on his list and he said because Santa and everybody in the world already know that he wants them. He put a Barbie Dream House on his list even though he already has one. When I asked him about it, he explained that he wants to make New York City in his bedroom and have lots of buildings, skyscrapers and apartments for “his girls” (his girls = every 11 inch doll that he owns). At the bottom of the list, you’ll notice he wants a WWE wrestling ring set. That one really surprised me. When asked about it, I learned that C.J. likes the figurine that it comes with (you should zoom in to take a closer look) and he thinks that ring will go well with his Monster High dolls. It is half girl and half boy. I’ve been told that the boy parts are the pants, sunglasses and lips. The girl parts are the peplum (I hate peplums and C.J. loves them. When it comes to this matter, we’ve learned to agree to disagree), the hair and the jeweled barrette. The shirt is covered in candy and candy is for everybody and, so, the shirt is for boys and girls. This entry was posted in All Posts and tagged American Girl Doll, Barbie, Christmas, gender creative, gender nonconforming, Gender Stereotypes, Gingerbread, Julie Albright, Monster High, Orange County, parenting, WWE. Bookmark the permalink. It was awesome of CJ to make his book for a boy or a girl! His school shouldn’t be using stereotypes. i hate it when people assume that only girls will like some books and boys will like others. Just happened to your blog and am enjoying it except for CJs teacher! I’m a school librarian and I spend too much time telling my students there are no such things as boy books or girl books! So happy I found you! I saw your appearance on the Today show, and honestly, it had slipped my mind to find and follow your blog until now! Bravo on all of it. Being courageous enough to blog about this, for being awesome enough to care, and for being a rock star mama! Your story strikes a personal chord with me as well- as I have four children; a daughter and three sons, and since about the age of 18 months, one of them has been very gender-flexible. I happily embrace this reality completely. In fact, I think its fantastic! Whichever way things pan out is exactly as they are supposed to. Thanks for sharing your story, I will be back! Just found your blog and really enjoying reading it 🙂 It’s so sad that adults seem to feel the need to categorise everything as being for boys or girls, even books! C.J.’s response and tag are fantastic though, and I hope they make others think about it too. I’ve nominated you for a Sunshine award. The details are on my blog. I’ve only just discovered your blog and am so excited to read more. From what I’ve seen so far, you do an amazing job with your child’s chosen gender expressions, and I thank you for that! I wish there were more parents like you in the world. Looking forward to reading more! Thank you so much for your blog, I look to it for inspiration for dealing with the outer world while protecting our 6 year old rainbow. Keep up the great work of support and enlightenment!! Beat ya to the punch Lori. Bought my son one in Nov for his birthday. 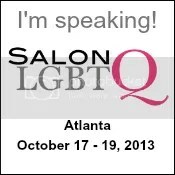 I discovered you on salon.com today. I am a transgender man. I was born female. When my wife and I decided to have a child who is now a 21 year old cis-male, we decided to allow our child to be who they felt most comfortable being. our son played with dolls given to him by his grandma and played with a feather boa we brought home one day. We never worried what others thought and that was 20 years ago. Michaels Crafts has American Girl kits, stickers, etc., (and some really cute off-brand outfits to supplement the expensive AG clothes). When we went through the AG craze at our house, the Michaels kits went a long way as presents without breaking the bank. Of course, there was no way around a couple of dolls! 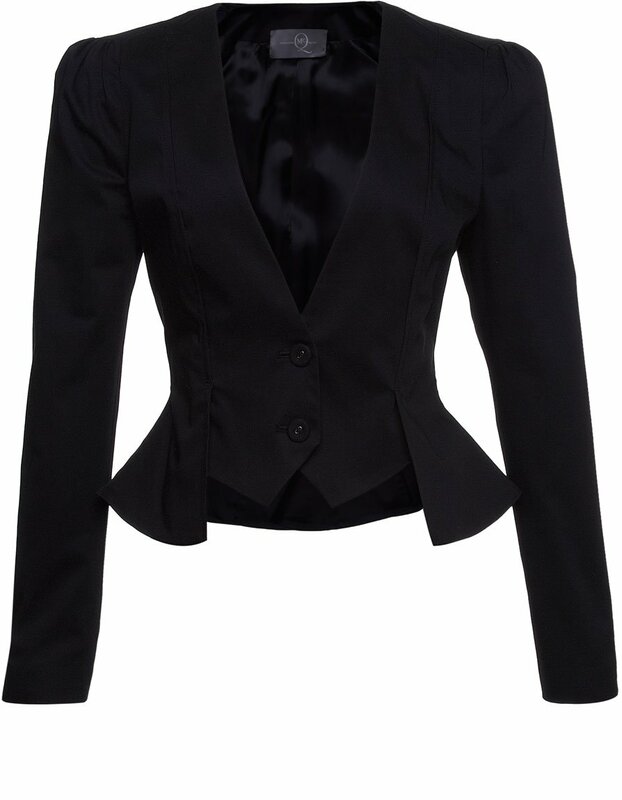 It’s a top that has a little frill coming out from the waistline, like a skirt but way too short. They were big in about 1990 (I know because a friend was getting married and half the bridesmaids dresses we looked at had them). They can go all around the waist, or be like a little too-short kick-skirt at the back. http://cdn.redcarpet-fashionawards.com/wp-content/uploads/2012/06/Peplum-Dresses.jpg or http://1.bp.blogspot.com/-v3oNukwLExg/TysafrgfkDI/AAAAAAAAC0g/NA1AsJjZkc4/s1600/mcq-black-peplum-jacket-653643-117191_zoom.jpg should give you an idea. They make your bum look big. Decide for yourself if that’s something you want. kudos to CJ for the way he handled the book exchange at school. I guess I am not familiar with the Monster High stuff, maybe I will have to look for it online. Happy Holidays to you and your lot. Wishes for a very special Christmas. Unfortunately toys are divided into many categories and emphasized being for girls or boys for marketing/sales purposes, but I tell my children all toys are for all children ( and my students, I teach pre-k). When I drive through McDonald’s and they ask me girl or boy, I tell them the exact toy I want, I refuse to say girl or boy toy. My daughter always wants what they consider the ” boy toy ” and my boys vary, sometimes they like the ” boy toy ” and sometimes they like the ” girl toy”. I just wish they did not label there Happy Meal Toys this way, it probably makes some children and parents very sad. On occasion I have mentioned it to the manager, and I plan to write a letter to the company. I hope CJ enjoys everything about his Christmas, especially his toys 🙂 🙂 and I hope you and your family have a wonderful holiday and a happy, healthy 2014. My girls are in the same (but opposite boat). Laurel’s Christmas list is comprised of “Farm toys, tools, and cars.” Ellie’s is “Trains, dinosaurs, and a Buzz Lightyear that talks.” As for the book exchange, that is ridiculous. My husband and I love cruising through the American Doll flagship store at The Grove while wearing our head-to-toe leathers. I totally love the furniture and accessories. Always loved doll furniture and proud of it! I love, love, love his gift tag!! So wonderful!! So truly, truly sad his school is adding books of all things to gender stereotyping. I love how C.J. handled that! Wow. Books are “gender specific”? I always preferred the Hardy Boys to Nancy Drew (and did that just give my age away?) My best friend in 1st grade was a boy. He would come to my house to play with alll my dolls (I never asked for them, but being the only girl…. ), I would go to his house to play with his Tonkas. My child would have gotten Tonkas no matter what gender, just so I could play with them, too. I loved science, sports and lots of other “boy” things. And except the whole doll/truck bit, I was allowed to have my way. Why allow others to determine what (or who!) you love. We all fall somewhere on the “gender spectrum” – and it is a lovely wide spectrum…all people are people, we just need to remember to be kind. Also I totally agree, sometimes I too loved books that might be considered “boy books” and preferred them, sometimes i preferred the “girl books” . books are for everyone, and what books you like have nothing to do with your gender. Haha oh that’s rich. The boys books/girls books thing. I was out at Target earlier this evening, and a family of three (father, looking positively bored, mother directing the show, and young daughter about the age of 9 or 10) were buying books as gifts for presumably a person they didn’t know. They had papers with them that told them only the gift idea, the age, and the gender of the person they were buying for. Whenever the little girl would bring over a a certain book, her mother would dismiss her and remind her they were buying for a “girl.” Didn’t happen to catch what they were buying in the end because I didn’t want to stare, but confound it. Just buy a gender-neutral book and get it over with. It’s this very idea of gender that bothers me. If “girl” is written on paper, they automatically have to limit their selection to something bright pink, feminine, and popular. Gotta get that formula right or lest it’s a bad gift. If I were buying for something like that, I would look for female authors before judging the book by the cover. Girls need to know that other girls can write about dinosaurs and adventure. My son’s Christmas list is almost EXACTLY like CJ’s. (except my Alex wants Josephina) He’s going to have a great Christmas. And I’m so sorry about the book thing….so glad my son’s school doesn’t do a gift exchange. (we sponsor a child and get presents for the sponsored child instead) My son really wishes we lived near your family because he wants to have a play date with CJ. They could totally rock those Monster High dolls!!! I’m a 9 year old and I am like CJ. But I do not like that CJs teacher made boys get boy books girls get girl books. I would have liked to get a girl book and also would have signed to a girl even though it was a boy book. I am glad CJ stood up for himself and put ” to a girl or a boy”. AND I HOPE YOU ALL HAVE A HOOLY JOLLY CHRISTMAS AND A HAPPY NEW YEAR!!! I don’t know what it is with the gender-specific gift exchange! My son’s 6th grade teacher did that, too. Lori, did you talk to the teacher at all about this? Ugh! How thoughtless! I am shocked that a teacher who has been through all the gender issues with CJ would be insensitive to this. I do a book exchange in my class and the directions state that each book should be grade level appropriate and a book that would be appealing to any second grader. We discuss examples and includes examples in the email to parents. It takes so little to be inclusive of everyone’s feelings. I hope your family has a wonderful holiday season! People can be so clueless even though they might have decent intentions. You and your previous boy are teaching many!! There are no gender specific toys. Any child can play with any toy. People who think differently are purely being influenced by manufacturers and stores. Are you going to let someone else influence your opinions? My 5 year old son got an American Girl doll for his birthday. And then we got him the bed for Hanukkah. It cost as much as a real crib. Just wait until he wants all the clothes….Merry Christmas and Happy New Year. I love your blog. Wow! Unbelievable…This teacher is well aware of CJ’s “gender nonconformity”, “bathroom” issues etc… here is the PERFECT teaching moment for her and she elects this.. let alone the spirit of giving and the meaning of Christmas/holiday is to make another happy by going out of your way…Let’s hope that she is just “an idiot” rather than being subversively mean. Perhaps you should get her a “Love conquers Hate” T-shirt from HRC as a gift…LOL. My LGBT son after being show a Westboro Baptist church video as an example of “free speech” in his Gov class, has now been assigned to do a project on the Russian Gov. Of all the countries the teacher chose Russia for him! So we promptly ordered the Russian love conquers Hate T-shirt (where all of the $$ goes to help LGBT people directly in Russia) for him to do his presentation in. Aren’t teachers wonderful? Merry Christmas!! My son’s pre-school is having a share and exchange as well. We were asked to bring in a gender neutral age appropriate gift. When we first got the info, that was left out of the description. All I kept thinking about was, what if he gets Transformers, or Ninja Turtles, he’ll be clueless. He’d also be heart broken if he saw the girls getting Barbies, or Hello Kitty. When I found out it was gender neutral, I was relieved, his teachers completely understood my feelings. We are so very lucky. Hi Lori, I don’t know if you’ll actually see this but maybe you can recommend for next year (using this ridiculous exchange as a “teaching moment” – don’t you just love being the world’s educator, 24/7, haha) having every student list what the genre/theme of book is instead of what gender its for. All the students could choose what their favorite genre/theme is for the distribution of the gifts. That way, every child gets to experience the joy of being identified by their interest instead of their body parts. I’m a girl who has always loved dinosaurs, science, space, robots, fantasy worlds. I’d have been PISSED to get a princess or fairy tale book just because someone had to buy a “girl” gift! Oh for the love of books! Regarding the fine print: long sigh. I *love* kids’ wish lists, including CJ’s… awesome! But the book exchange note? Seriously?!? What about, “To a kid who loves ____…” Wouldn’t that cover it? CJ’s solution rocks! He’s a natural advocate for humanity. Kudos to C.J. for wanting to label his gift for both genders! Is there a G.S.A. (Gay Straight Alliance) in his school district? It might be useful to talk to a group like that about making gift exchanges gender neutral througout the school. It’s worth a shot and might help to pave the way for C.J. and other kids like him to have an easier time at school in the future. Other LGBT organizations will usually help with school situations like this as well. I came across a similar problem in my college art class in which the final project had to include something that signified whether we were male or female. The professor said this was a requirement and would dock grades if it was not fullfilled. I contacted the local G.S.A. who filed a complaint with the art department for me and the project requirements were changed. truly maddening. I’m a children’s librarian. the children should bring a book that will be appropriate for all children, whether girls or boys. They sell the wrestling figures separately from the ring, just in case you needed to know that! What a gross idea, that books are divided by gender…I’m sorry cj is running up against a teacher that doesn’t get how “little things” mean a lot. Looks like it was handled perfectly by cj. I hope the book received is wonderful. The gendered book thing really bugs me too. I try not to get to worked up over these things. Yet another generation grows up with biased expectations. CJ has the world by the tail! That young child brings so much joy to my heart…now, if all of the world could think more like CJ!!! I almost cried when you said CJ had you sign it “to a boy or a girl”. I hope hope hope I raise my (eventual) children with as much awareness and consideration as you have. Love your blog and reading about your kids. We had the $5, gender specific secret santa this year too. It’s funny. I wish they woud just ask for a gender nuetral gift. My daugther would much rather get art stuff than dolls. (in fact, she just sold all her barbies). Merry Christmas CJ! Too bad he didn’t want Marie Grace as his AG doll. They had her on sale for $50 a few weeks ago! And I’m surprised he doesn’t want Saige, she’s a redhead! I think that teacher should have been more considerate. I have a teaching degree and know that you can make your gift exchange work however you want. 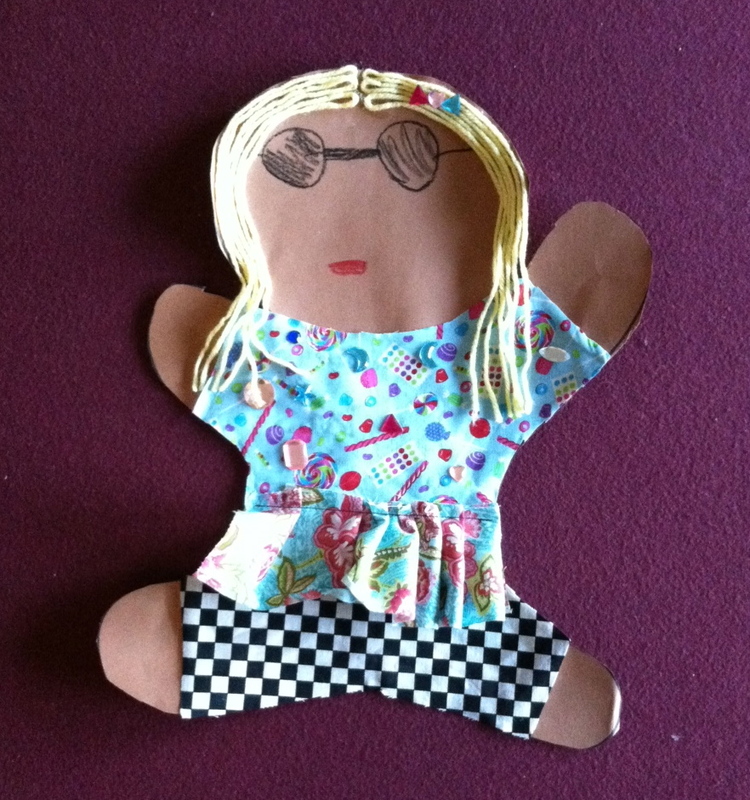 I also will let you know that my sister is in the American Girl phase and we talked her into a different doll. Wal-Mart carries a brand of dolls called mystyle. They are just as big and pretty as the American Girl dolls, but have more everyday outfits. They are also more budget friendly. I hope CJ gets everything on his wishlist, and that you don’t go broke in the process!! Good luck and Merry Christmas!! Their outfits fit AG dolls, too, except the shoes, as do ones at craft stores. There at also inexpensive sewing patterns available, or thrift store baby clothes can be cut down to fit. Thank you for writing this delightful Christmas article. CJ is wise beyond his years. I *love* the way he thinks! Wait? They have to bring gender specific books now? Oi. I’m so annoyed by that I can hardly stand it. Looks like CJ handled it just right! I just admire you and your family so much! We just had the boy/girl book issue crop up while volunteering at an organization that provides clothes, books, and other items to kids in need. My gender-fluid 7 year old was indignant that both books and art supplies were divided into girl and boy packs. 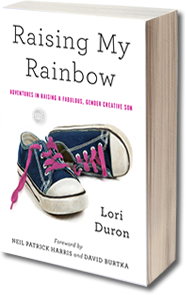 He wanted to know if gender-nonconforming kids could have their social workers ask for the opposite gender items or whether they just got stuck with things they didn’t want. Merry Christmas to CJ and all of you!! As a retired teacher, I’m appalled that this teacher is asking students to bring in gender-specific books. But I love the rest of this post. CJ is wise beyond his years, at times. CJ are right – why I am supposed to like a book only because someone labeled it as “for girls”? I was never exactly a tomboy but not exactly pink either; and I don’t like “love stories”, I love to read science fiction books. Girls Books – Boys Books … it’s hilarious to divine. CJ has more wisdom than his teacher and his choice is great! Happily there are many books out there that are appropriate for both boys and girls. It’s hard to fit in when everyone tries to make you the same as everyone else. I’m glad CJ has someone to help him navigate that challenges. He sounds like he’s got a very good head on his shoulders. I was wondering if there are any older kids at CJ’s school that might genuinely like him and sort of take him under their wing. There have been a few stories of children who are “misunderstood” for lack of a better term right now and when someone who is respected in the school takes the first step at acceptance an attitude shift seems to happen. I wish you and your family the happiest of Christmases and hope that Santa knows just what to bring for CJ and the rest of your family too. What if there are an uneven number of boys or girls? Does someone not get a book at all? Love it! A Happy Christmas, and a bright New Year, to all of you – may it be the best yet.